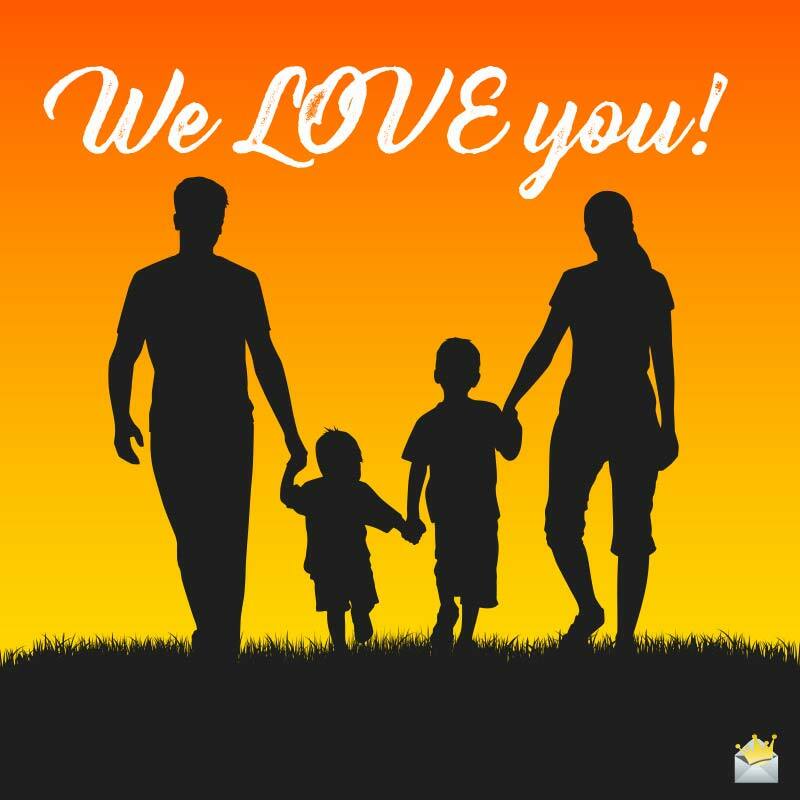 Many parents cherish receiving a message of love from their children even more than all the expensive presents money can buy. If your goal is to melt the heart of your sweet mom or dad and make him/her feel so treasured and loved, you’ve come to the right place. 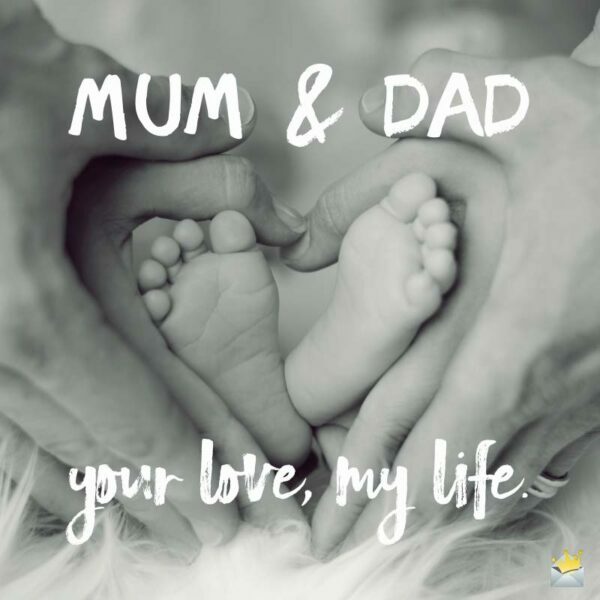 Just choose from the scores of beautifully woven “I love you” quotes below and make your mom or dad feel blessed to have brought you into this world. If you were to ask me to tell you how much I love you, I would talk until the end of time and still not finish describing how much I love you simply because the love I have for you is too grand to be described. Mom, I will move heaven and earth to light up your world and make you happy because the smile on your face puts a smile on mine. You deserve the greatest award on earth for the happiness you bring into my life. I love you so much, sweet Mother. You are the only woman who has the ability to fill my heart to the brim with true happiness and not expect anything in return. How did I get so lucky to have a wonderful mother like you in this lifetime?! I love you. Mom, to love you with every single beat of my heart until the end of time is the least I can do considering all the amazing things you have done in my life. The world sees you as just my sweet mother, but what they don’t know is that you are also my absolute best friend. No amount of treasure in this world can ever bring me the joy that having a beloved mother like you brings to me. Love you lots! Mother dearest, you are truly a magnificent person in my life. You are more precious to me than the air that keeps me alive. Hence I can never love anyone more than I love you. Mom, all my life you have loved me unconditionally and made me the happiest child in the world. My prayer is to love you endlessly and make you the happiest mother in the world. Being your daughter/son is worth more to me than all the money in the world. You are my everything, Mom, and I love you more than I can ever express in any tongue known to man. Mom, you are the real definition of a magnificent mother. I always feel blessed beyond measure whenever I call you my mother. My love for you will never die. By making you my mother, God blessed me more than He has ever blessed anyone in this world. Mom, I truly love you. There are two things I love most in this world: the fact that you are my mother and the fact that I am your son. Thank you for being the most loving mother in the universe! Mom, I’ve been loving you since I opened my eyes for the first time. If this isn’t love at first sight, I don’t what is. Throughout my existence on this earth, never have I seen a love as amazing as yours, Mom. You are nothing short of an angel. I will love you and be there for you always and forever. You are a truly outstanding mother who makes me the happiest child in this world. Mom, for being so amazing to me, I have installed you the Queen of my heart for life. Mother, come what may, I shall always love you from the deepest and most special part of my heart. Dad, when I’m with you, I feel like the President of the world. That’s how powerful and good you make me feel. Every moment spent with you is a moment I treasure more than all wealth on earth. I love you, Dad. Because you are the best father in the world, I have also taken it upon myself to strive to be the best child in the world. Thank you so much for making my earthly journey a very beautiful one. I love you. In my heart, the love of a phenomenal father like you is as precious to me as God’s love. Mom & Dad, your love, my life. In good times or bad times, Dad, you’ll always find me standing by your side because I love you and want to see your happiness more than anything else in this world. God did me the greatest honor of my life by making me your son. Dearly beloved Dad, I love you more than any word or group of words in the English language or any other language on earth can express. Dad, for being the most loving and responsible father in the world, I just want you to know that you shall forever occupy the most prized space in my heart. I love you. If I were to write down all the wonderful things you have done in my life, not even a thousand books would be capable of containing them. That is how extraordinarily good you have been to me all my life. I love you, Dad. They say no one is perfect, but in my eyes, you’re more than a perfect father to me. If having you in my life isn’t the greatest blessing in the world, then there’s no such thing as a blessing. I love you. Dad, I might not say it often, but I’m your biggest fan. I will love and treasure you until the day God gets old and dies. You are the most treasured person in my life, Dad, and I love you so much. Please don’t ever forget that. Father, the only thing in this entire universe that I love more than your amazing love is you! You’re simply the best. 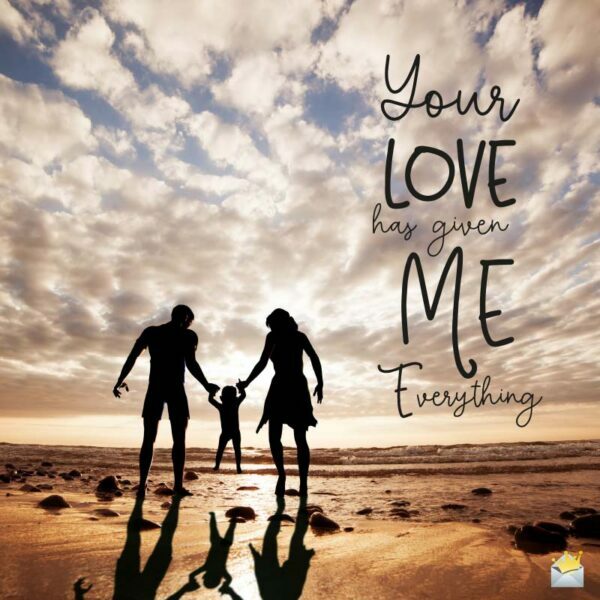 Your Love has given me everything. Nothing is more precious to me than having a wonderful father like you in my life. I love you, Dad, for every single smile you have put on my face. I hope that someday I can fill your world with smiles upon smiles. Dearest Dad, I may sometimes fight with you, but my heart shall always love you. No one has what it takes to ever take your place in my life. What do I love about you, Dad? Every single thing about you. Thank you for being a great father to me. Dad, this is just a little love note from the bottom of my heart to let you know that of all the things I am blessed with, you are the greatest of them. I love you immensely, Dad.